These recipes are the most popular ones from Square Pennies on Pinterest on my “Game Day” Board. Try as many as you like and see if you agree! 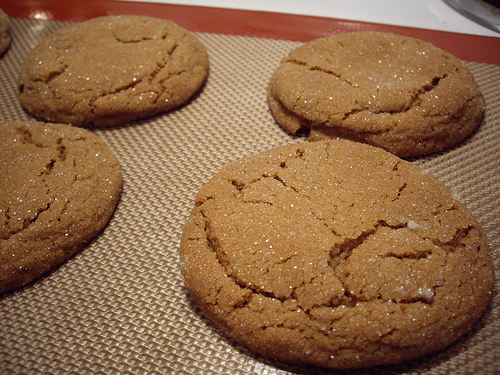 Click the name of the recipe to see the full post about it. 9. 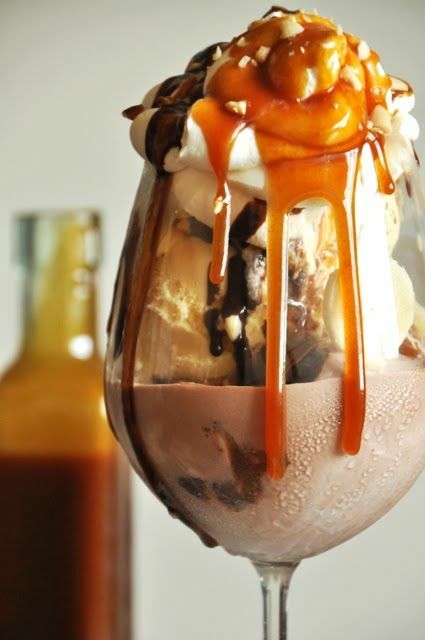 Easy Bourbon Caramel Sauce for the Best Sundae Ever! I love all of these recipes. You might want to use Rachel Ray’s Buffalo Chicken Meatballs as appetizers with a toothpick in each. That way you can dip them into blue cheese dressing. Or make little sliders with them using the dressing spread on the cut sides of the bun. Add lettuce and tomato for a yummy little sandwich. 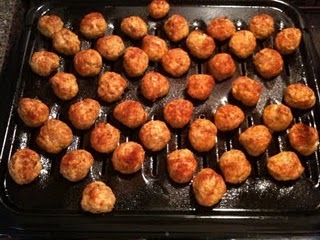 You can make any of the meatballs ahead of time and freeze them. Just buzz them in the microwave at the last minute for quick prep time. I do love the Big Soft Ginger Cookies (and they could be made ahead and frozen too), but for a quick dessert I’d go with the caramel sundaes. Each person can make their own when they want them. Much easier on you and people love to make these. You can provide several flavors of ice cream as well as nuts and whipped cream if you like. Soooooo good! To make the party even simpler, ask each couple to bring an appetizer to share. Enjoy the game! If you want to follow me on Pinterest you can click here to see my boards. Click on any of the tags below this post for more game day recipes to inspire you! Alexis, a lot of people love it! I go for the classic Chex mix, but they are all good. Enjoy! I love making chow mix! It’s so easy and amazingly good! It’s a toss up for me. Food/Football/Commercials? Which is better? Well at least you can have good food no matter who wins! My pleasure, Tanya & I’m going to check out your Super Bowl Snacks next. 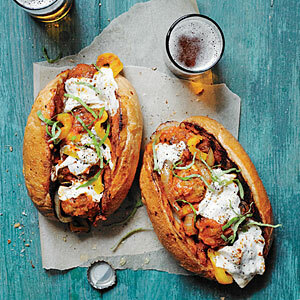 Can’t have too much good food for the Super Bowl! Enjoy your weekend! Oh yummy! I gotta check out the artichoke spinach lasagna dip. Artichoke dip is one of my favorite appetizers! 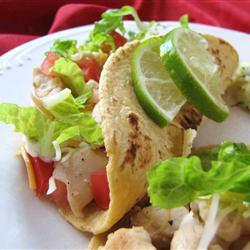 The chicken lime tacos sound pretty delish too. I think food is the very best part of the Super Bowl. 🙂 Have a great weekend and thanks for some yummy ideas! Hi Harleena! 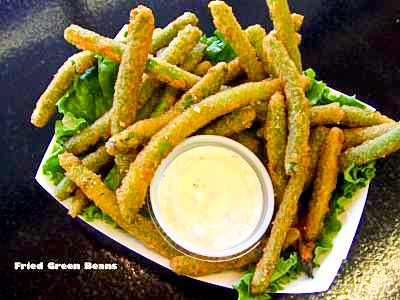 You might like the fried green beans too! Thank you for following on Pinterest–I think I followed you there too. It’s a lot of fun and I love to see all the DIY projects! See you there! The comments are delayed. I have to work on that. Thanks! 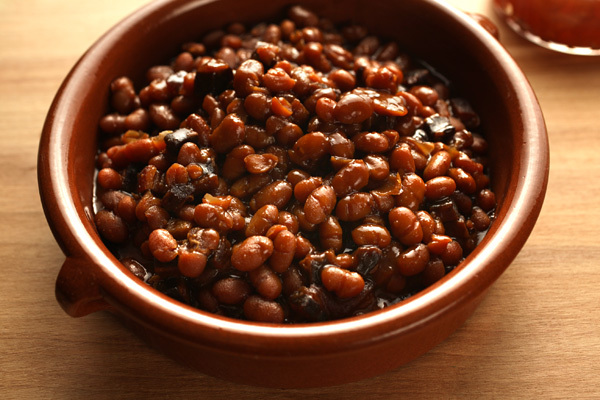 Being a vegetarian, I think I’d go with the simple cookies and the baked beans ones as we make a lot of those, though we cook them differently in a curry form and it’s eaten with rice mostly at our end. I just started following you on Pinterest too – nice to connect there as well. BTW – Some error with CommentLuv as it’s not working presently. Hey Mr. CBB! I’d be happy to prepare them for you! Dee-lish! I’m getting hungry for all of these too. Of course it doesn’t help that I’m trying to diet right now. At least the Cheater’s Lasagna is a diet recipe. Yum!